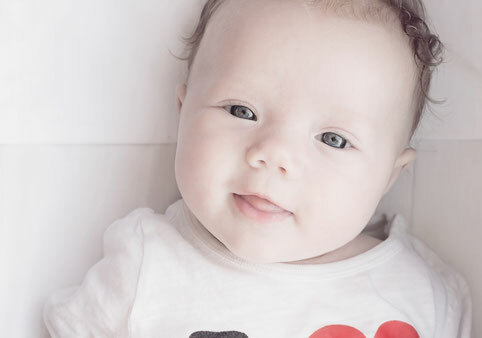 Periods of early wakes, while the bane of many parents’ existence, are actually very common and normal for babies and toddlers. However, this doesn’t necessarily make it easier to swallow when your clock reads 5:05 a.m. and your little one is already signing along with the birds. 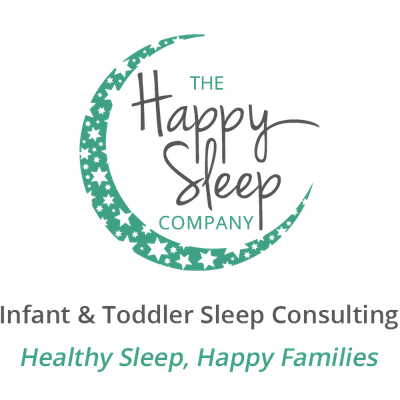 It is very biologically-appropriate for well-rested children who regularly sleep through the night to wake – refreshed and ready to start their day – between 6-7 a.m. This is not an “early” wake (as much as it may FEEL early to us, as parents!). “Early” wakes could be considered anything before 6 a.m. (e.g. 5 a.m./5:30 a.m.), and may occur due to various factors, from developmental milestones, to noises in your home, to Daylight Savings Time changes. The tough news is, early wakes – particularly those caused by developmental milestones – can often take around four (or sometimes more!) weeks or more to sort themselves out. The good news, though, is there are certainly ways to combat early wakes and get your child sleeping past the crack of dawn! Early morning wakes are very often caused by bright morning light creeping into your child’s window and disturbing sleep. The hours between 4-6 a.m. are already a tough time for children to stay asleep, and to fall back asleep if they wake (this does not mean your child has had enough sleep or is ready to get up for the day at 5 a.m. – it simply means he is in a lighter stage of sleep than, for example 1 a.m., which makes it tougher to continue on in Dreamland at that time). If light is peaking in when your child is already in light sleep, this can exacerbate the morning wake problem. So, invest in a great blackout blind, and cover it up with blackout curtains for sleep! For travel or a temporary solution at home, I LOVE the Gro Anywhere Blind! Another fantastic room-darkening option is the Blackout EZ Window Cover. Those chickadees may sound sweet at 8 a.m., but their song is another story if it’s being chirped out at 5 a.m. every day and waking your child! If your furnace clicks on at a particular time each day, there are birds nesting on your child’s bedroom windowsill, or a city bus makes its stop directly in front of your house at 5 a.m. each day, you may want to invest in a sound machine. If you are going to use a sound machine (or app on a mobile device), I recommend it be on a “white noise” or “rain” setting only (no jungle sounds or ocean waves – too stimulating! ), and that it run continuously, not on a timer. One of my favourites is the HoMedics Mybaby sound machine. This sounds intuitive to most adults who do not want to be getting out of bed before this time, but it can be a difficult maneuver if your child is waking well before 6 a.m. each day. Unfortunately, if your child begins to habitually wake at 5 a.m. each day, and you get your child out of bed and START your day at this time (lights on, breakfast on the table, playtime, etc. ), your child’s body will ADJUST to waking at this time. This will very likely throw off the whole day’s schedule, meaning early naptimes and early bedtimes, which can create a cycle of early wakes. My suggestion is to avoid getting your child out of the crib before 6 a.m. Many babies and toddlers will play happily on their own in their crib until this time or (if you’re lucky!) will go back to sleep and catch some more Zs. Of course, if your child is upset, you will need to provide reassurance and support, but you will need to avoid starting the day before 6 a.m. in order to kick the early wake habit. Then, when you get your child up at 6 a.m. turn on all the lights and make a BIG deal of it so that his body adjusts to this time of the day being “morning”; with some time and lots of consistency with this strategy, his internal clock will begin to shift to a later wake up time. One of the most common reasons children wake early in the morning is going to bed too late. It may sound counterintuitive that an early bedtime means a LATER sleep-in the next morning, but it’s true. Sleep begets sleep. And, if you are a former or current client of mine, you know this to be true. So, if you are experiencing habitually early wakes (i.e. if they have been occurring for more than 7-10 days), try bumping bedtime up by 15-30 minutes, to see if this helps.